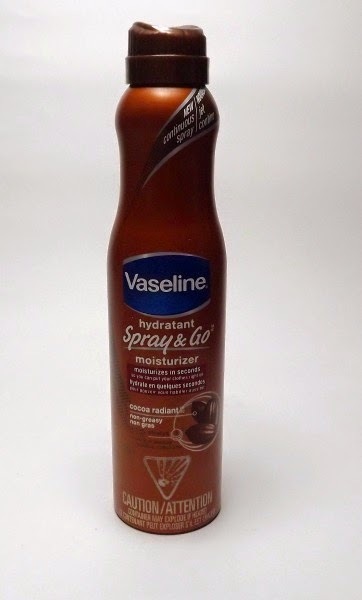 When Vaseline first launched their Spray&Go line I was instantly intrigued. I wondered how well a product like this could work. I also though "I hate moisturizing, this could be good". It is true, I hate moisturizing. I the person with skin so dry it gets chapped, cracks, burns even bleeds, hates to use moisturizer. Why, the drying time! Body butters are my favourite because at least I feel I am getting serious replenishment for my skin and I don't have to rub it in too much. But lotions, the type in pumps, ick! I feel there is so much water in them, so much time waisted for them to dry and absorb for so little pay off. Yep lotions are not for me. So what about Spray&Go intrigued me? The no drying time. That seemed like a great idea. I picked up a can (it is a can right?) at my local Shoppers because heck it was on sale, more reason for me to try it. I grabbed the Cocoa Radiant version of it. So the first thing I noticed is how little product there is. 184g ...that sounds small. How much lotion is really in there. I could buy other lotions by the brand by the litre and they would probably be cheeper. Non the less I gave it a shot. What I found was a thin clear lotion came out with a white foam. A few passes of my hands to rub it in and it was gone, my skin felt nourished. So what do I think. Well watch this ad and then we'll talk. Ok the product is not like that at all. There is no way you're going to get such a precise amount on in a single pass. 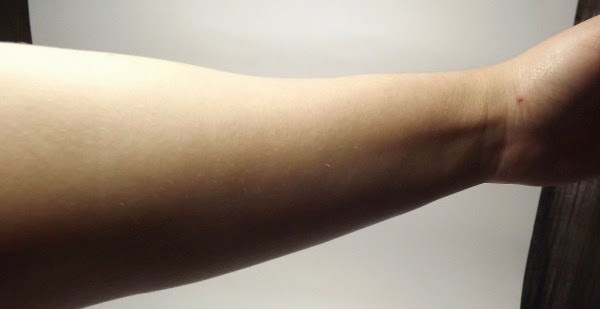 Second you need more than one pass of your hand to rub it in, just a fact, you rub it in like normal lotion, it just absorbs a bit faster. Third, I find it really watery. I was not expecting it to be so watery. I feel it is more water than lotion at this point. If you suffer from really dry skin it won't be enough. Takes more than one pass to absorb. I like this product ok, it wasn't what I expected. It really is non-greasy which I like, but at the same time not the best moisturizer out there. I like it best straight out of the shower to get a quick blast of moisture back into my skin before it gets too dried out. I prefer it on my legs and torso, for my arms it just doesn't cut it at all. I've seen Life Brand makes a generic version of it, I may get that next time to save some money, but I would consider buying it again. Have you tried any of the Spray&Go Lotions? What do you think of them?